New trucks of several leading truck brands now available on stock and for order. Looking for a new truck? Look no further! Our partners include DAF and Ford. From these manufacturers we can order directly and have the truck or trailer delivered with all the services that you expect from BAS Trucks. This means that you get all the benefits of ordering a new truck but at a lower price then you would normally pay because we source the trucks directly. Since these vehicles come straight from the factory you have all the benefits of a new truck or trailer, completely ordered to your specifications and including factory warranty, but delivered at the lowest possible price to your doorstep. We have quicker access to new DAF and Ford trucks compared to traditional sales channels, and as a result we can ensure fast delivery to you. We arrange shipping globally and have competitive rates with all the shipping companies. We always have the spare truck parts on stock for you. Interested? Choose your preferred truck brand first and see which specifications and types are available and what we can offer you. Looking for a strong European brand with a strong global service network? 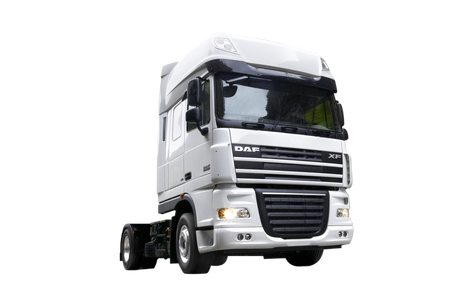 Choose DAF Trucks! 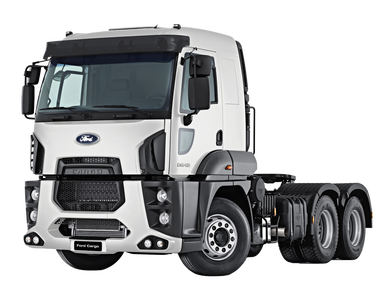 European truck, awarded "Fleet Truck of The Year"
Drive a truck from one of the largest automobile manufacturers in the world, choose a Ford truck! High quality for a low price – unrivalled! All our new vehicles are manufactured by the original manufacturers. Herewith, we guarantee quality and also include manufacturers' guarantee in all our sold vehicles. The manufacturers are lesser focused on used models, while BAS Trucks is the industry leader when it comes to used trucks or models in this case. Moreover, we can keep the costs very low due to our single location strategy and thereby assuring you the lowest price. Regardless, of where the truck needs to be used. We ship more than 10.000 vehicles on a yearly basis to all corners of the world. Last, but not least used trucks and models are our core business. We therefore can guarantee that we will always be able to deliver the service you need. From spare truck parts to trading in your used vehicle. Need to know more about doing business with us? Contact us directly and experience yourself our professional service.